Watch Hill, Rhode Island has long attracted the elite. Surrounded by river, bay, and ocean, the area offers unlimited opportunities for boaters. Watch Hill’s prominence was only increased when Taylor Swift started spending part of her summer there. 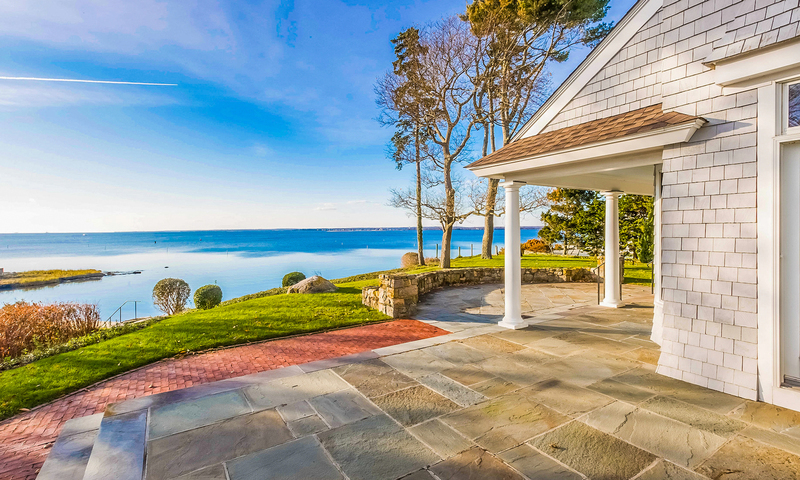 Built in 1997, ‘9 Water’s Edge’ is a 3,200 square foot Shingle-style waterfront estate sits directly on Little Narragansett Bay, at the mouth of Watch Hill. 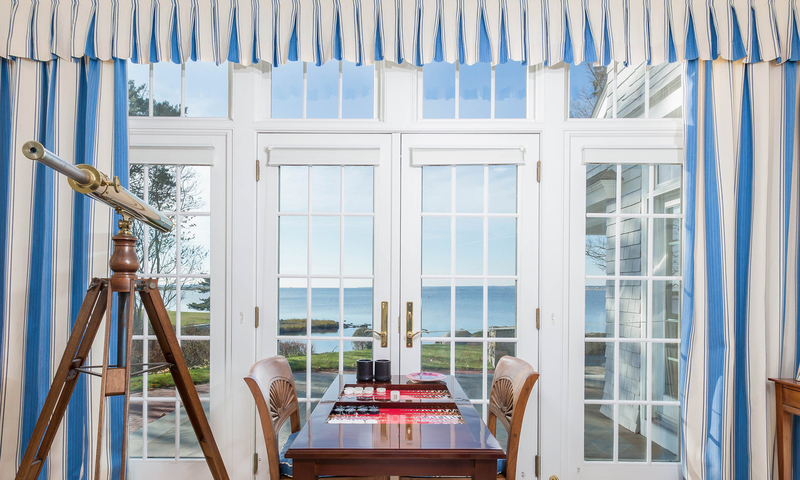 “Windswept” boasts views of the Bay, Napatree Point, Stonington CT, Fishers Island NY, and Long Island Sound. Built by a true boating family with many years of ‘on the water’ experience, the home was designed to take advantage of its very special location and ‘perpetual sunset’ views! With four deep-water moorings, its own private beach and the potential for a dock, Windswept offers you the best of all worlds, a prime location and direct access to the protected Little Narragansett Bay while also offering you easy access to the open-ocean and close proximity by water to numerous towns up-and-down the coast. 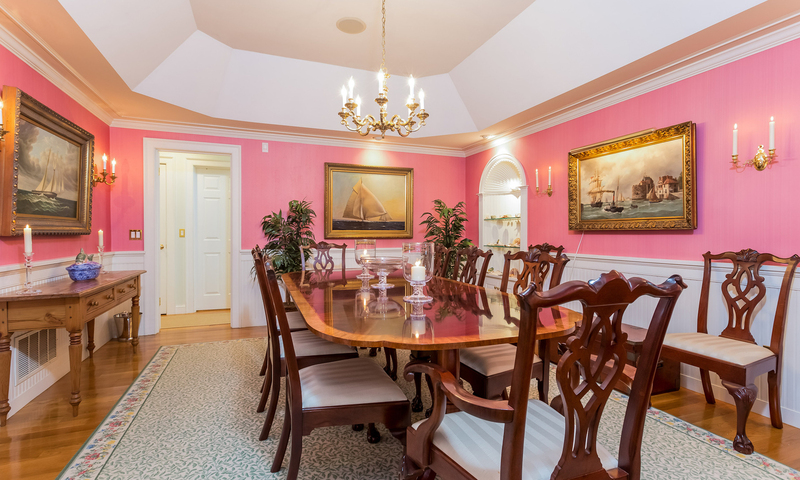 This property is located on a quiet dead-end street within easy walking distance to the Village of Watch Hill, the five-star Ocean House, the Watch Hill Yacht Club, and The Misquamicut Club. Windswept is a stunning five-bedroom three-and-a-half bath home and is ideal for entertaining, with its formal Living and Dining Room, along with its expansive blue-stone patio overlooking the Bay. This estate is listed for $7.7 million with Lila Delman Real Estate, an affiliate of Luxury Portfolio International.